Dimitros Ghebremariam: - (Priest “Liqekahnat”) b. in Maichew (Areza) 1900, elected on 26 March 1952 to the Eritrean Assembly, representing the Medri WodSebera and DekkiTaes district for the Unionist Party. (He served as ASKER and Secretary for Ras Chidanemariam Ghebremeskel and died in Addis Abeba). 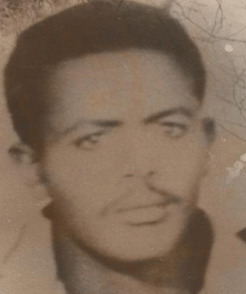 Ato Woldeab Woldemariam suffered severe wounds from an attempted murder on July 7, 1947. In August of 1948 the BMA's chief civil affairs staff officers was contemplating taking " action against Tedla Bairu and others, for the escalation of intimidation and violence" against pro-independence parties and individualist (Gebre-Medhin 1989:157p.). Abdel Kadir Kebire was first vice president (1941-46) of the Mahaber Feqri Hager(MFH) and President of the ML-Asmara branch, was assassinated on March 30, 1949 on the eve of his departure to attend the meeting in Lake Success, New York, as well attacked on Dedjazmach Hassan Ali of the Moslem League by Unionists (Spencer, 1984:197) . The Ethiopian government in order to restrict the progressive education system in Eritrea took the first step by replacing Tiginya and Arabic as the official languages with Amharic ( the Official language of Ethiopia). Thereafter, all the school textbooks and other documents which had been written in Tigrigna were burnt , by the Ethiopian government. Yohannes Zeggai documented it as follows.